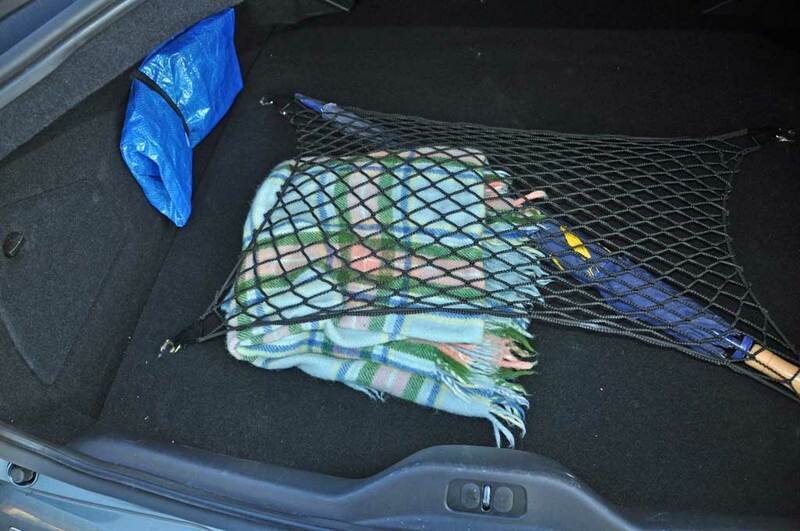 So we know the C6 doesn't have a luggage net, or the means to secure one, which means the shopping etc. moves around a bit so I thought I would do something about it. That required 4 'D-Rings', (picture opposite) which I sourced from a local hardware shop, pop rivets, washers and a net. 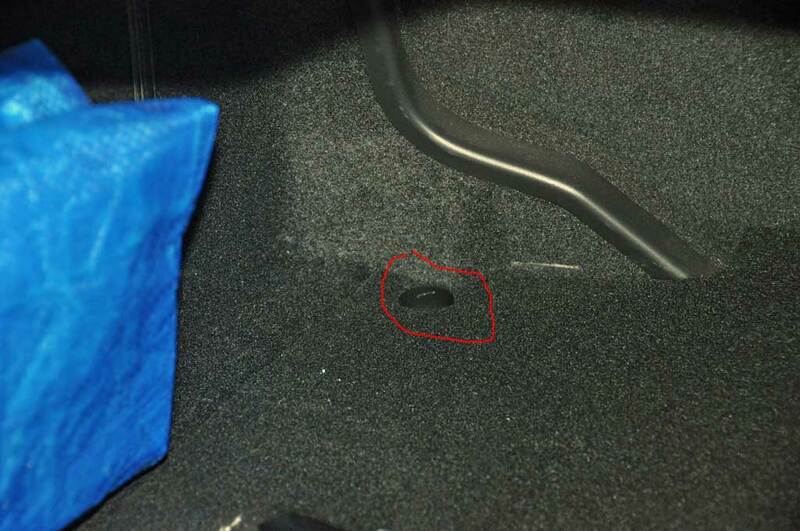 Next you need to remove the floor liner. One removed you can feel the extent of the inner core which is basically chipboard which has a rubberised foam coating on the back and 'carpet' glued to the front. You need to mark out where your going to put the d-rings. Next rivet the d-ring into place from the top side making sure that you add a washer on the reverse to spread the load over a wider area.